Everyone has heard the idiom that the body is a vessel, so how ingenious was it of Jee Hwang to use one of the most intimate objects in one’s home to express that sentiment. Desiring Uncertainty is a collection of paintings currently showing at Porter Contemporary, located at 548 West 28th Street. 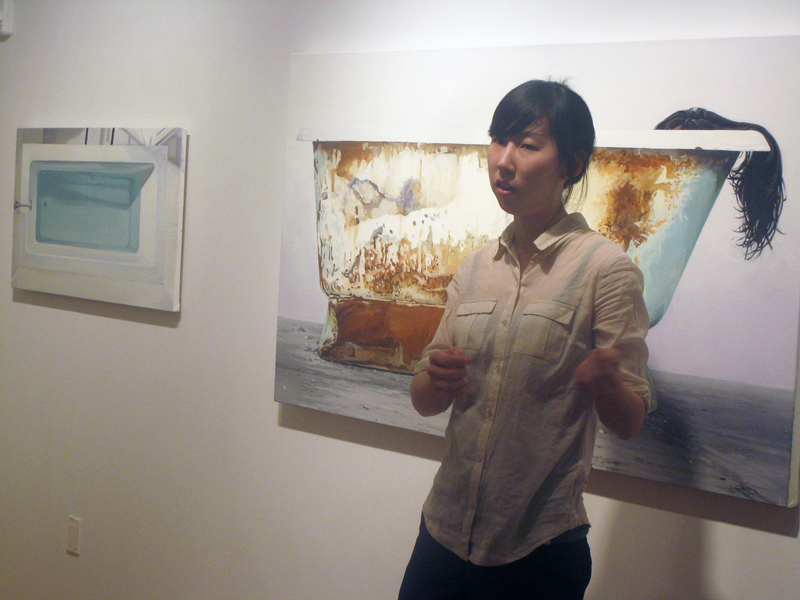 The show opened February 23; last Thursday Porter Contemporary hosted an artist talk with Jee Hwang so viewers could hear firsthand what inspired her to create these works. Jee Hwang used a series of bathtubs as well as a crate; bag and even herself face down in a bed of grass to express desire, and its relationship to the state of presence and absence. A bath at the end of the day seems to be the cure all for the world’s ills. We draw a bath, soak, relax, wash away insecurities and pressures and utilize the water to restore us. Then we release the water and do the same thing the next day. While walking through the exhibit, I could feel the longing, the languishing for something to happen, but what that something is hasn’t been discovered. The vivid detail of Hwang’s works made these cold, stationary items pop with verve, becoming stimulating to look at. It is amazing how the bathtubs express the essence of desire as well as the loneliness that can come with unrequited desire and the changes that it can take over time. I found her works to be remarkably introspective and alluring. Artist Jee Hwang was born and raised in Seoul, South Korea, before migrating to Maryland in 2003. She graduated from Pratt Institute with a MFA degree in 2009 and received a partial scholarship to the Vermont studio program in 2010. Her first solo show was at A.I.R. 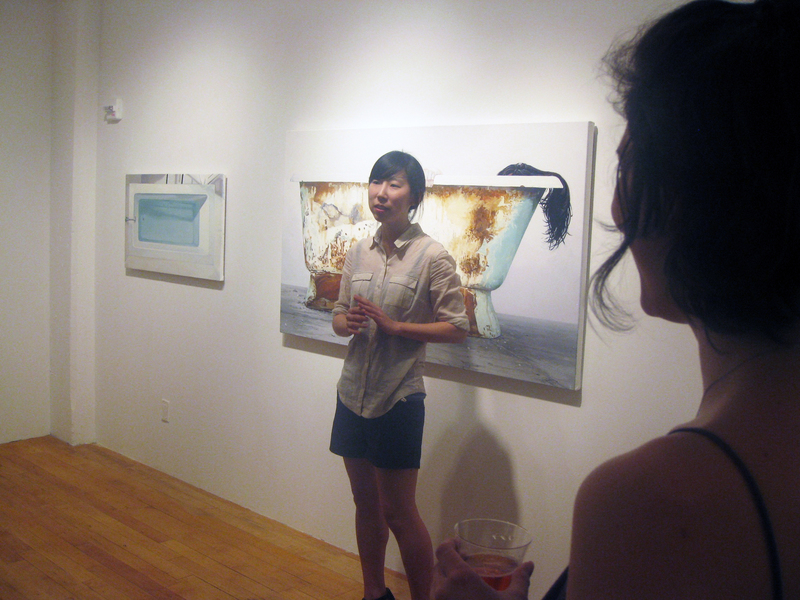 Gallery as the 2009-2010 A.I.R. Emma Bee Bernstein Fellowship Artist. 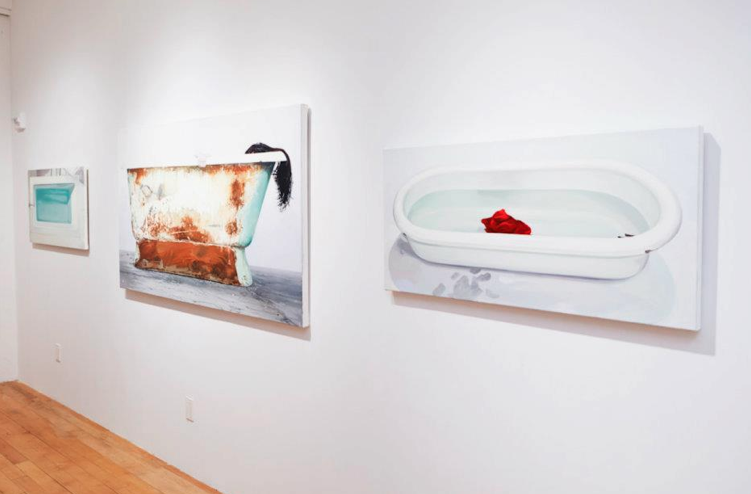 Desiring Uncertainty will be on exhibition at Porter Contemporary until March 31. If you can, I highly suggest taking a peek before it ends. 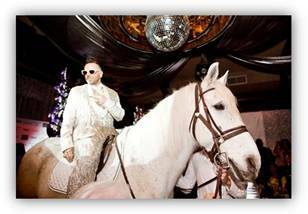 So who can pull off making a grand entrance into a packed nightclub atop a white horse dazzling spectators? 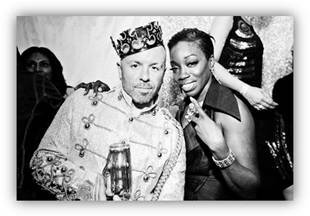 Legendary Damon, that’s who (eat your heart out Bianca Jagger). Last Sunday, NYC belonged to “the King of New York nightlife” as he celebrated his birthday with all the grandiose fabulosity that he has become recognized for. Known for his lavish birthday soirees, Damon didn’t disappoint this year as he paid homage to one of the most iconic clubs in Manhattan’s history – Studio 54. The Marquee, located at 289 10th Avenue, was decked out in silver, reminiscent of the famed hot spot, complete with various old school album covers on the tables of the VIP section and the smiling half moon (minus the spoon filled with snow). Cocktails were being knocked back courtesy of Remy Martin V, and may I add they were extremely scrumptious. 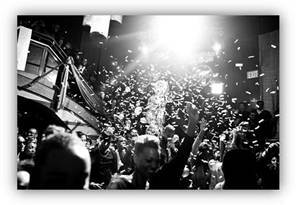 Like the legendary club created by Steve Rubell, the A-List, philistines and everyone in between mingled in harmony as DJs Jimmy the Gent, Charlie Brown, Goldfinger, Kiss and MOS spinned an array of classics and hip-hop bringing the club to a frenzy. 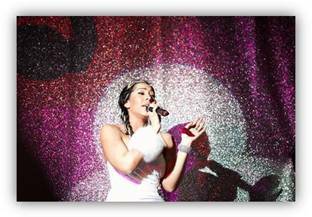 Among the celebrities toasting with the famed stylist and promoter were Chef Roblé, Karen Gravano of the hit VH1 show “Mob Wives”, UK R&B diva Estelle and Roc Nation’s Bridget Kelly, both of whom serenaded Legendary Damon. All and all it is a fete that won’t be forgotten soon. Swankier and more fierce than last year, Legendary Damon knows how to put the swagger back into NYC clubbing. The countdown is on until next year; I can’t wait to see what he will pull out of his fashionable chapeau. FAMERS, take a gander at the video that preceded his entrance into the club.